Can Snapchat survive the arrival of parents? Sorry kids, looks like Snapchat may stop being cool. The five-year-old photo and video-sharing app, which has proved hugely popular among teens and college students, is now starting to catch on with older generations, according to the ratings company comScore. ComScore reports that Snapchat is "rapidly growing its user base among older millennials (age 25-34) and those 35 years and older." Three short years ago, the app was being used by a mere five percent of smartphone users age 25 to 34 and just two percent of users 35 and older. Now, 38 percent of that older-millennial cohort uses the app, while 14 percent of people 35 and up are snapping away. Keep in mind, the app is still disproportionately popular among young people and teens, CNET points out. About 69 percent of 18- to 24-year-olds use the app, up from 24 percent from April 2013. Users under 18, teens who make up the so-called "Generation Z," were not tracked in the study. ComScore reports that Snapchat use is now at "a point at which critical mass is achieved," given that use has penetrated nearly 15 to 20 percent of the population of adults 35 and older. What's driving the appeal of the app to more mature, less mobile-app-obsessed age groups? ComScore cites the introduction of "new product features" like "Stories," which are chronological streams of user snaps that are available to be viewed an unlimited number of times in a 24-hour time frame. This emphasis on more narrative posts, as well as fun "Lenses," which are creative, sometimes goofy filters, have made the app more accessible and interactive for a wider group of people. This trend is not that different from what happened to Facebook some years ago. Initially a refuge for college students, the social network eventually gained widespread popularity with older generations, while younger users began migrating to mobile apps for their social connections. During a talk moderated by The Atlantic in 2013, Mark Zuckerberg admitted that "coolness is done for us." For many young people, the impermanent nature of Snapchat posts, with their disappearing photos, added to the appeal over Facebook and Twitter, with their long digital memories of youthful indiscretions. Back in March, Jason Dorsey, the co-founder and chief strategy officer of the Center for Generational Kinetics, told CBS News that teens -- Generation Z -- liked apps like Snapchat because they "don't leave a paper trail," compared to emails, for instance, which are favored by older groups like Generation X. 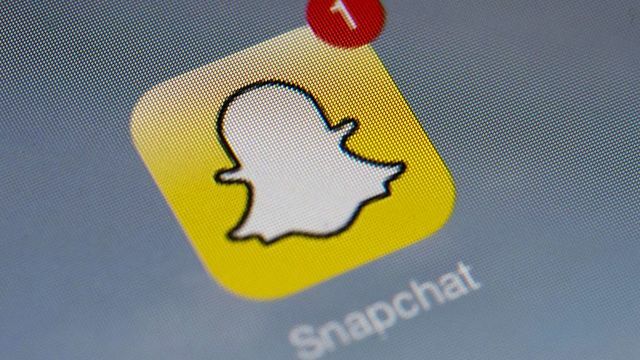 The challenge for Snapchat will be figuring out how to embrace its new, older users without alienating younger ones who might be on the lookout for the next big thing.